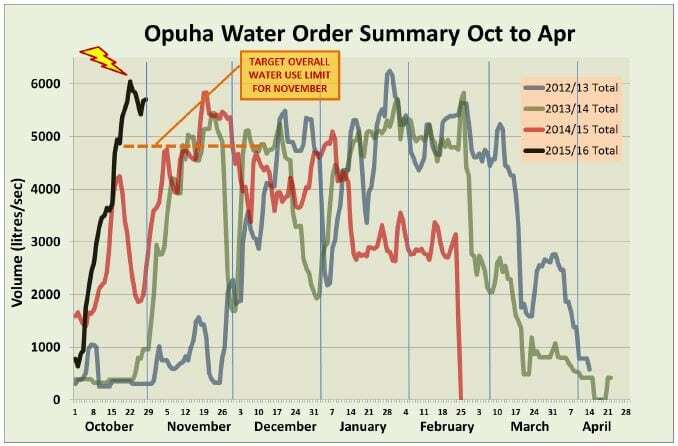 Since we lifted water restrictions two weeks ago, the irrigation demand and water use have skyrocketed to a peak level only exceeded one other time in the previous three seasons. We realise that conditions have been dry around the scheme and there is a lot of concern about the season ahead, however I feel we need to implement a level of restriction if we are to stay on track with our objective of maintaining supply right through the season. For the month of November, irrigators are required to moderate their water use to use less than 75% of their volumetric allocation for the month.